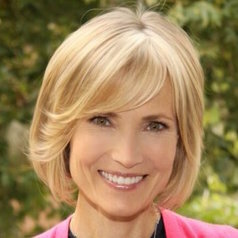 Willow Bay was appointed dean of the USC Annenberg School for Communication and Journalism and holder of the Walter H. Annenberg Chair in Communication in July 2017. A veteran broadcast journalist and a leader in digital communication, Bay was previously the director of the USC Annenberg School of Journalism (2014–17). She launched the Julie Chen/Leslie Moonves and CBS Media Center in Wallis Annenberg Hall, introduced the school’s new Bachelor of Arts in Journalism degree program, welcomed the first cohort of the school’s nine-month Master of Science in Journalism program, forged partnerships with key media industry partners, and created new curriculum and fellowships for master’s students. Bay’s work to ensure that current and future communicators are fluent writers across many digital platforms was recognized with the Award of Honor from the PEN Center USA. Bay came to USC Annenberg from her post as senior editor and senior strategic adviser of The Huffington Post, where she managed editorial content and growth initiatives for the pioneering on-line news site. Working closely with founders Arianna Huffington and Ken Lerer, she oversaw the launch of over a dozen news, business and lifestyle content verticals including eight metro pages across the country. In addition, she was a special correspondent for Bloomberg TV and host of Women to Watch, a primetime program that profiled the next generation of women leaders in various industries. Her prominent broadcast experience includes reporting and anchoring for ABC News’ Good Morning America/Sunday and serving as a correspondent for Good Morning America and World News Weekend. The first woman to co-anchor CNN’s flagship daily financial news program Moneyline News Hour, Bay also anchored Business Unusual and Pinnacle, the network’s weekend business news programs. At NBC, she co-hosted NBA Inside Stuff, the NBA's weekly magazine show, and served as a correspondent for the Today Show morning program. Bay is the author of Talking to Your Kids in Tough Times: How to Answer Your Child’s Questions about the World We Live In (Warner Books, 2003). She earned a bachelor’s degree from the University of Pennsylvania and an MBA from New York University’s Stern School of Business.